Examples of container gardens can include anything you want to plant something in. Container gardens can be simple or elaborate, with one plant or many. The most important aspect of any container garden is that it gives you a feeling of joy and satisfaction. Container gardens can use traditional containers, such as flower pots for these houseplants. You can also use less traditional containers, such as the bowl that this basil is planted in. Nearly anything that will hold soil can be used for a container garden. Some examples of container gardens are very simple. You may prefer just a few containers with some favorite vegetables or flowers. Other examples of container gardens are more extensive with many containers covering a large area. Hanging baskets are another example of a container garden. Container gardens can fit whatever space you need. Not matter the size, you can add some plants and make it special. Container gardens make it possible to garden anywhere and everywhere. 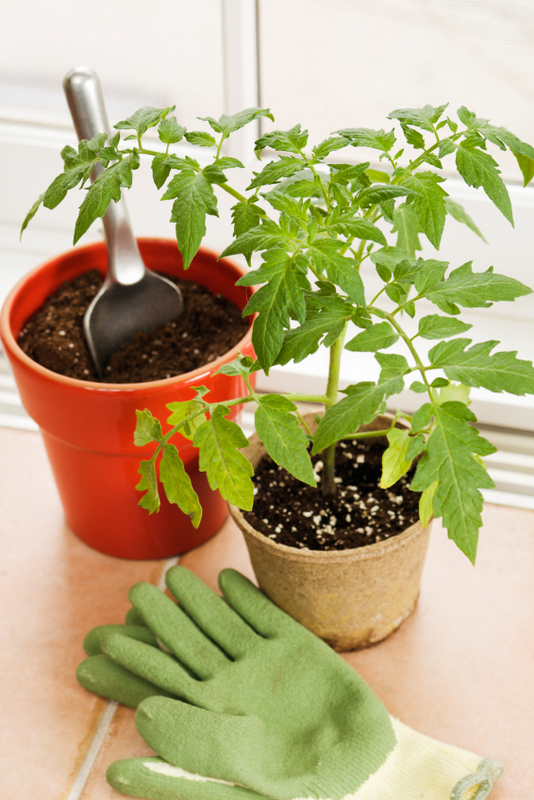 No matter what your space, and no matter how small it is, you can have a vegetable container garden or one for flowers. As long as it makes you happy, you can grow whatever you want.